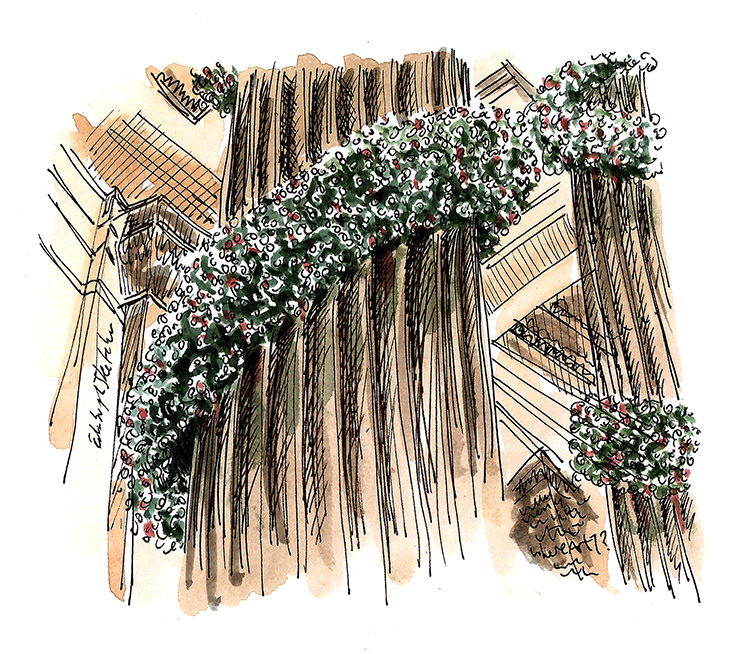 For this week’s WhereArtI I drew an Edinburgh institution, the beautiful festive garlands which wrap around the pillars of The Dome on George Street each year. The Dome is a wonderful building with stunning architecture both inside and out and for the past 20 years has been a welcoming venue to meet, eat, have a drink with friends in beautiful surroundings. It really is worth a visit to see the dome from inside especially at this time of year, when dressed in all it’s Christmassy finery.